Lecture at 1315 on Wednesday 13th December. No new exercises; revise your summary if your TA requires it. Read the ACM Code of Ethics and Professional Conduct. Jonatan is leaving us after the break, so if you need to ask anything, email one of the rest of us. You will learn the skills to find, use, and explain relevant ideas from the scientific literature—in both speech and writing—and you will, as a part of the course, develop a Masters thesis proposal which you may re-use for your own thesis. The course has a new teacher this year, and will be taught a little differently from previous years as a result; expect this web page to develop as the course progresses. Lectures are at 1315 on Wednesdays in HB2. Here is the schedule in TimeEdit. There will be lectures most weeks, but not all. They will be announced on this page in advance. The slides will be posted here, but note that my slides are not intended to be self-contained—they will not mean much to you unless you attend the lecture. Most of the work in the course is in the exercises. Each week this page will specify the work you should be doing; expect it to take around half your time. You pass the course by completing the exercises satisfactorily. It is important to keep to the deadlines for submitting the exercises, because your submissions will form the basis of your small group tuition. · Presentations: November 16, 20 and 21. · Writing workshops: November 23, 24, 27. Each session will be two hours and limited to five participants plus a tutor. A doodle for you to book your session will be made available from each exercise description page. Birgit Grohe will talk about preparing for your Masters thesis in the second half of the lecture. You should carry out a small literature survey, using the methods discussed in the lecture. Unaccustomed as I am to public speaking (slides, and some accompanying notes). You should prepare a fifteen-minute presentation for your class-mates on the papers you have studied. How to write a paper (slides). You should write a summary for your class mates of the papers you have studied. Reviewing a technical document (slides); writing a proposal (slides). You should review two summaries written by other students—see part 2 of the summary exercise for details. You should also write the first draft of a Masters thesis proposal. The deadline for your first draft thesis proposal is on Wednesday. Please make sure also that you send your own reviews of other students’ summaries on time—your classmates need your input. During the coming week you should complete the final version of your own summary (see part 3 of the exercise). The deadline for completing your summary is on Wednesday. You should also receive feedback on your draft Masters thesis proposal. During the coming week you should complete the final version of your Masters thesis proposal. Note that this is a different lab in the Fire system: make sure you submit to the right one! 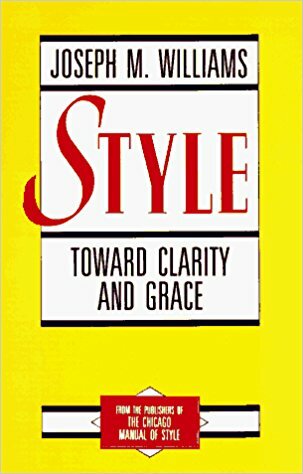 You should read Joseph Williams’ book, Style: toward clarity and grace (chapters 1—8), which is a tutorial on technical writing. Beware: Williams wrote several other books with similar titles—make sure you get this one. The book is out of print, but you will be able to find copies. For example, it is available from amazon.com (but you will need to wait for your copy to be shipped from the USA). 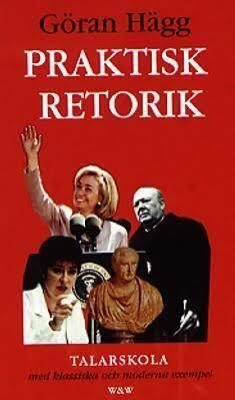 For presentation stills, I heartily recommend Praktisk Retorik by Göran Hägg, to students who can read Swedish. It isn’t necessary to read this book for this course—and it’s focus isn’t particularly on technical presentations—but it is both hugely enjoyable to read, and hugely influential on all presentations you will make afterwards. Unfortunately, there seems to be no English translation, which is a real shame—it’s a gem.